It had been a fun and relaxing two days at Lido Beach Resort, but it was time for my friend Lynn and me to leave Lido Key and head to Longboat Key. 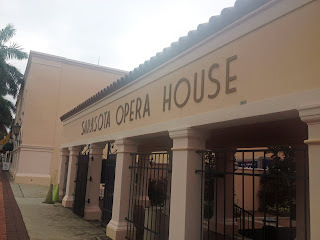 We left the resort first thing in the morning to head downtown to the Sarasota Opera House. 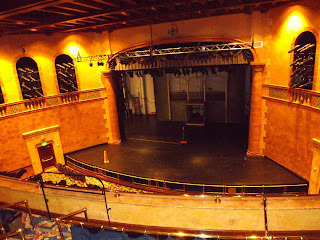 Sam Lowry, Director of Audience Development, met us at the door for a private tour. 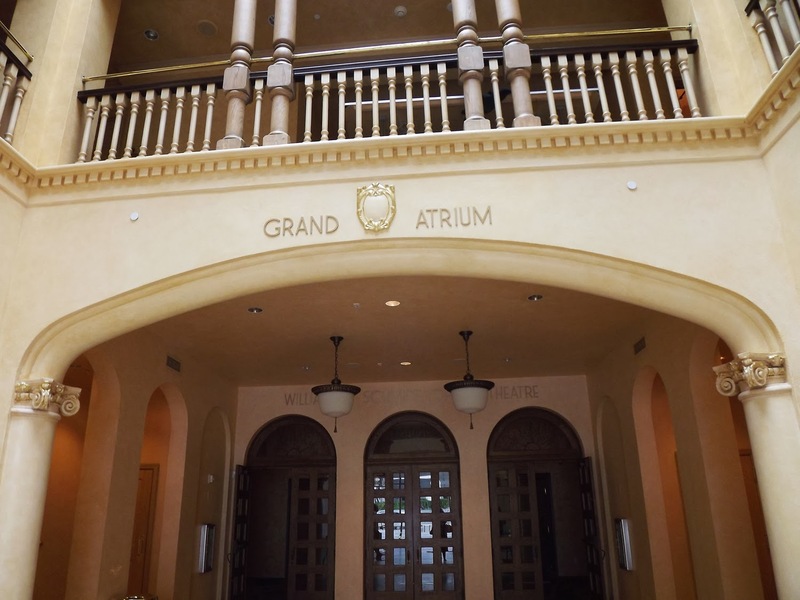 We were lucky enough to get to see every corner of this historic building, which opened in 1984 and went through an extensive ($20 million) renovation in 2008. The building had been kept its history in the renovation and Lynn and I were impressed with the special touches, from the detailed woodwork around the stage to the gold crest in the cream colored Grand Atrium. 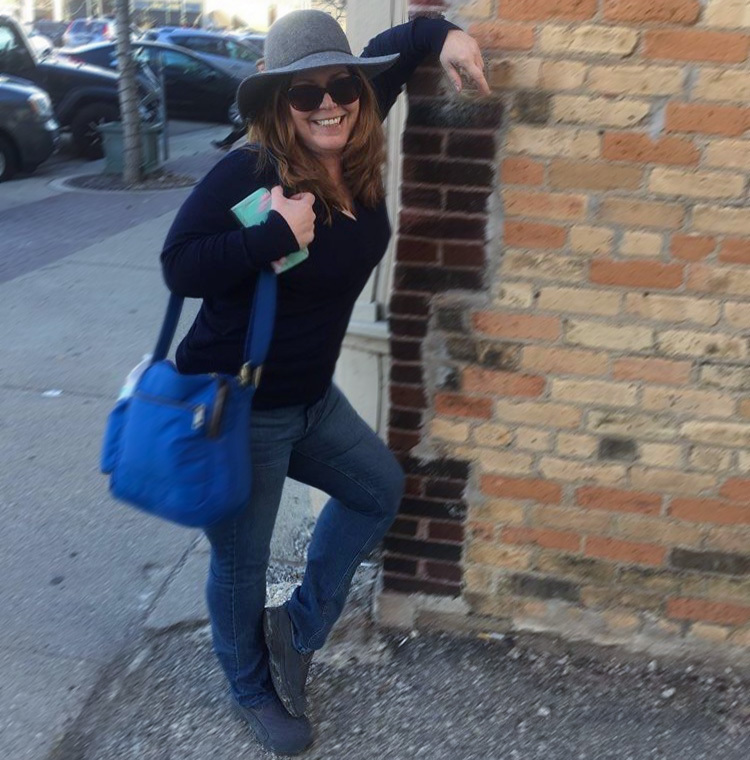 I had never been to the opera and I fantasized about putting on a floor length evening gown and socializing in one of their well-appointed member lounges while waiting for the curtain call! After the Opera House, we returned to the Lido Beach Resort to pack up. 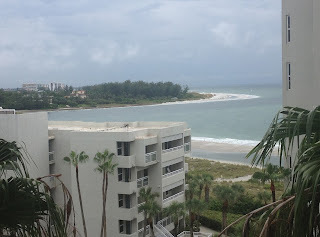 The clouds were beginning to form and we hoped that it was just one of those quick Florida rains coming in as we drove to Longboat Key. 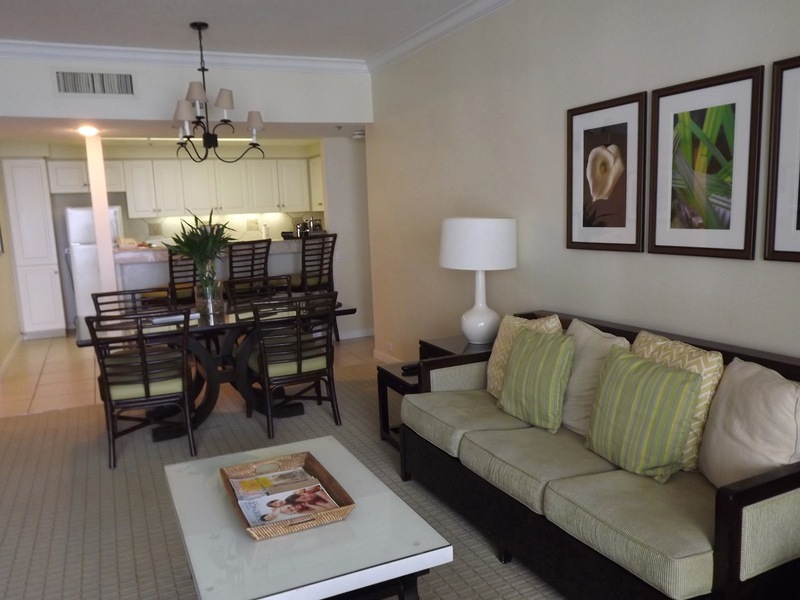 The Resort at Longboat Key Club was very different from the one we had just left even though they are sister properties. It seemed a bit more luxurious, though certainly in an understated way. It was the service that was the most noticeable as we were welcomed in a way that made it clear the staff was there to fulfill the guests’ wishes. 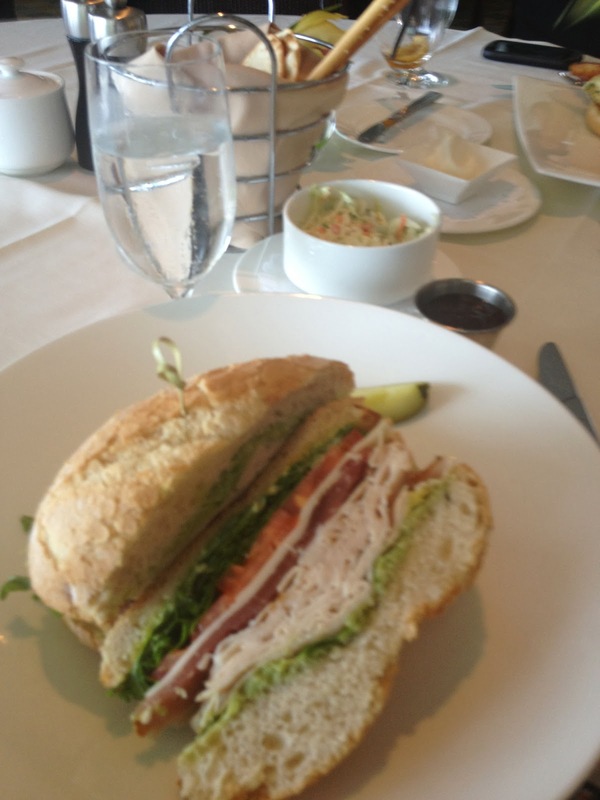 Our suite was not yet ready so we went to Sands Pointe restaurant for lunch. The menu was quite extensive and we couldn’t decide what to order, so we shared the Smoked Turkey Club (turkey, provolone, tomato, arugula and avocado with herb aioli) and the Chicken Cabana (chicken breast with grilled pineapple, applewood bacon, pepperjack cheese, lettuce, tomato, onion and barbecue sauce). They were both good, but we favored the chicken and really liked both side dishes – Sweet Potato Salad and Mango Cole Slaw. We headed to our suite right after lunch and it was well worth the wait. We had two full bedrooms, a large kitchen, dining room and living room. 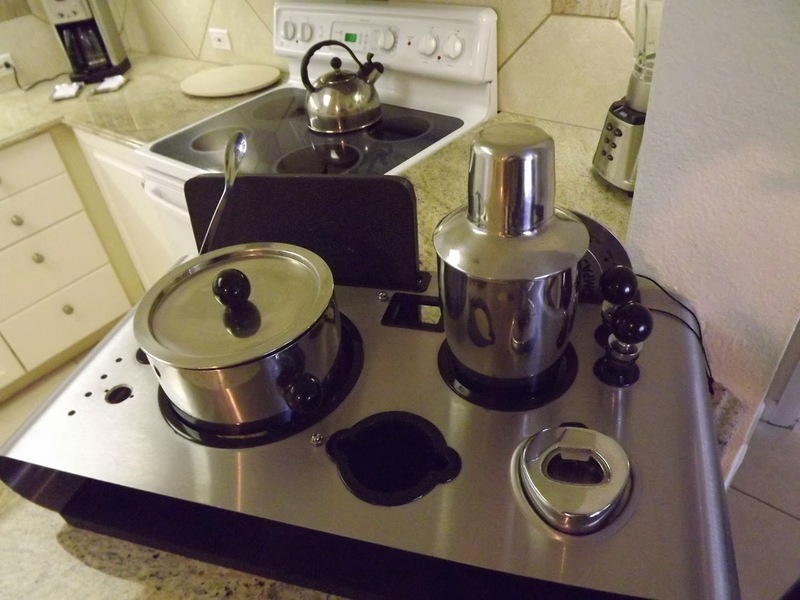 We found some welcome and unique touches, like the cocktail mixing tray in our fully-equipped kitchen and books and games in the living room. The only thing better than the suite was the views from the multiple balconies we had. I got to enjoy one of those views during a phenomenal in-room massage. 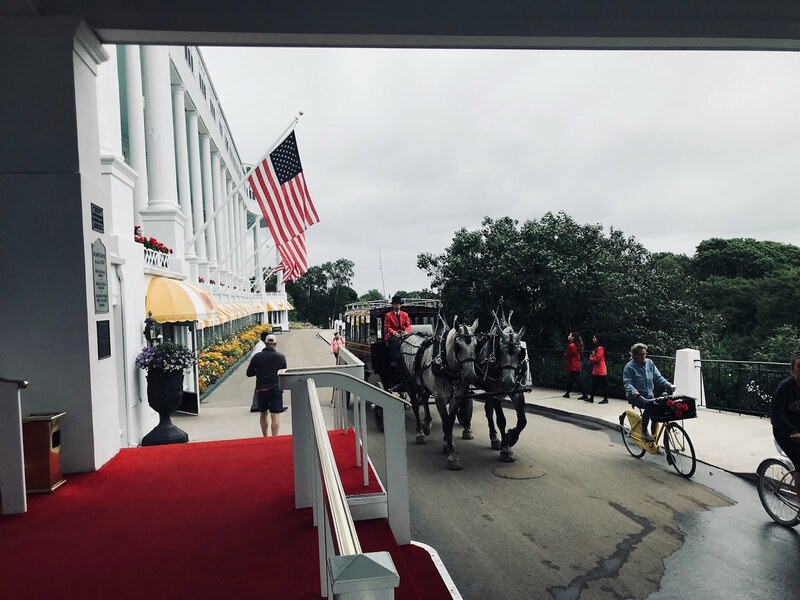 We were there just before the hotel’s Island House Spa opened so we just missed touring and exploring that, but I hear it is beautiful. 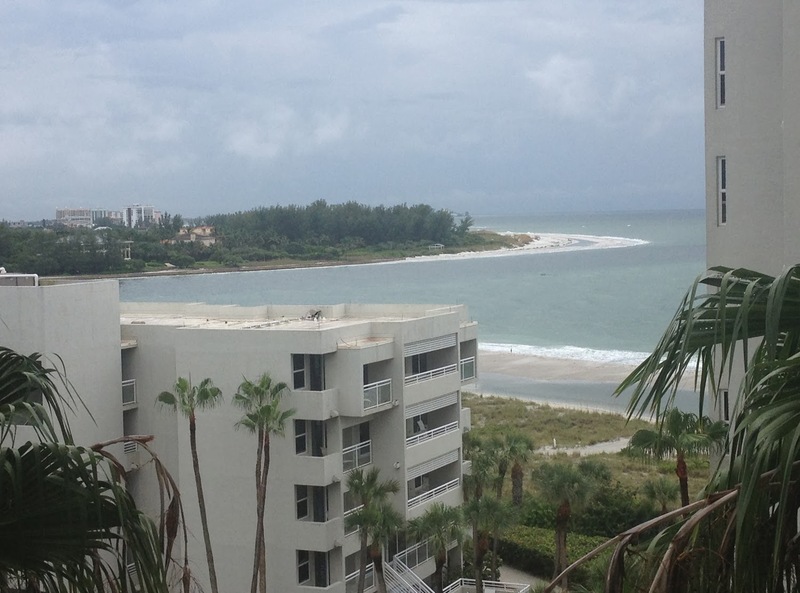 As much as we were enjoying the The Resort at Longboat Key Club , the weather did not cooperate for our visit. 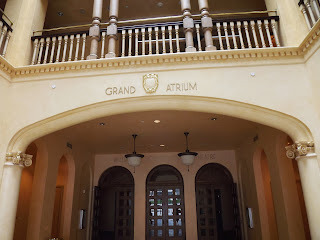 It was pouring so hard in the evening that we were afraid to drive down to St. Armand’s Circle in Sarasota, where we were scheduled to check out the stores and have dinner. We stayed on the property instead and actually ate in the Point Lounge. 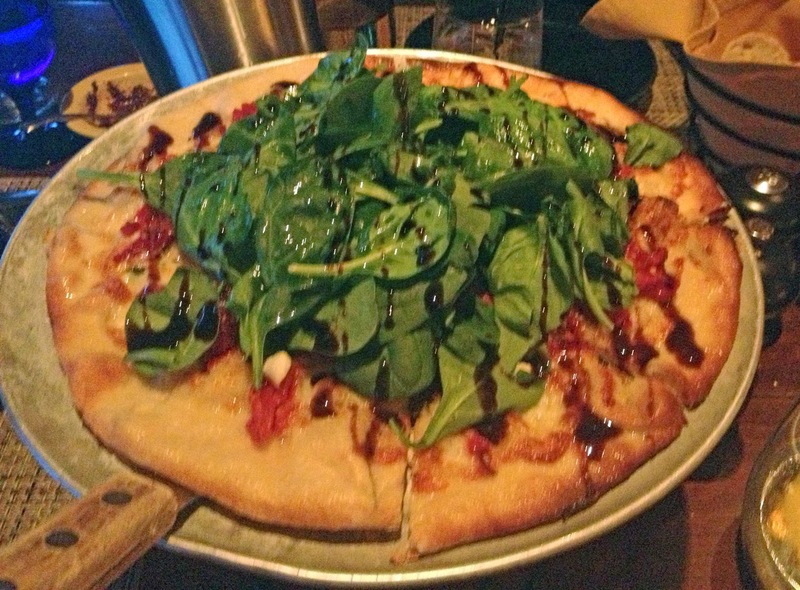 It was a relaxing and casual meal while we sipped Chandon Champagne and enjoyed Arugula Goat Cheese Flatbread along with Truffle Mac N’ Cheese. 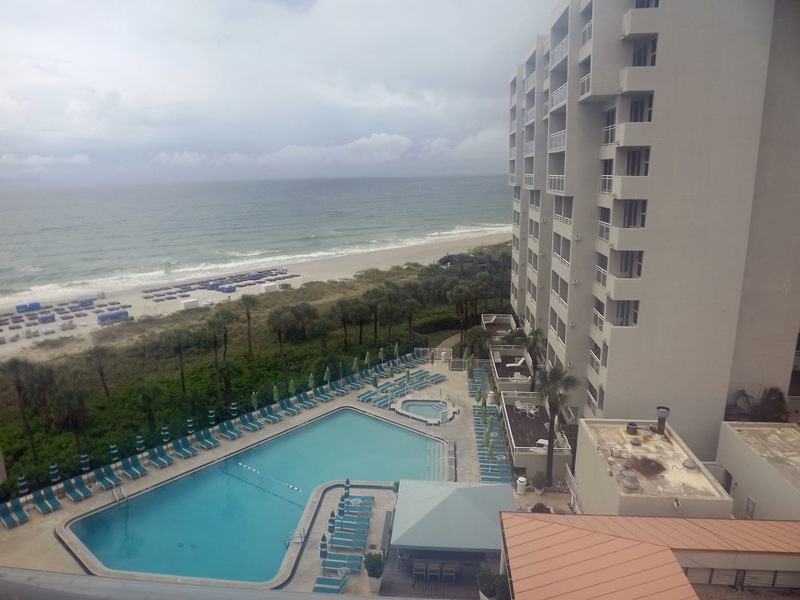 After dinner we called it a night, hoping Mother Nature would cooperate and let us explore the beach and pools of the Resort at Longboat Key Club. I've always wanted to visit Longboat Key. Too bad about the weather. It's always disappointing to visit a sunny place without the sun! Looks as if it was a lovely experience. Definitely too bad about the unremitting heavy rain, but if you had to be stuck somewhere, you could definitely do worse. Trust me. Been there. Done that. You can never control the weather, but it sounds like you made the most of it! I haven't been to the keys off of Sarasota but it's on my boomer travel list. Yes, we made the most of it and we're thankful we started with some sunny days. Looking forward to heading back in the sunshine!